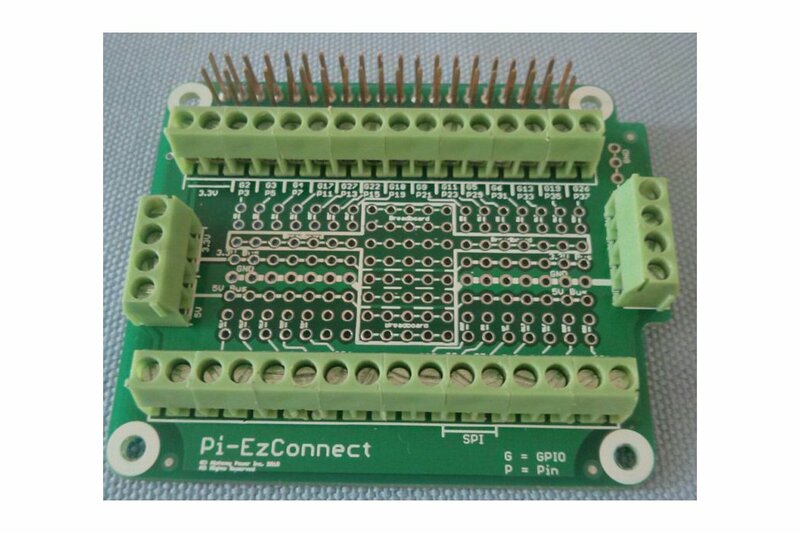 Pi-EzConnect board for a Raspberry Pi . 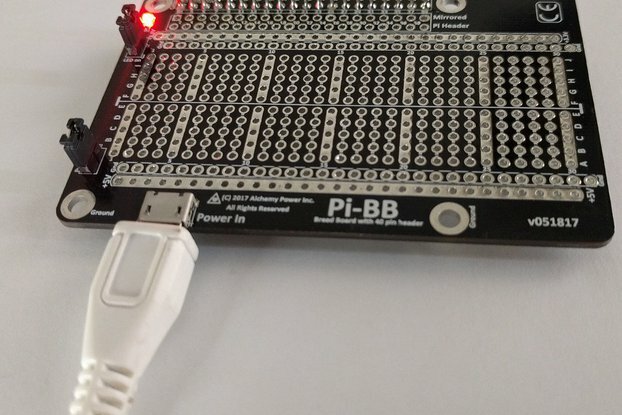 Connect all GPIOs to a Pi using terminal blocks. 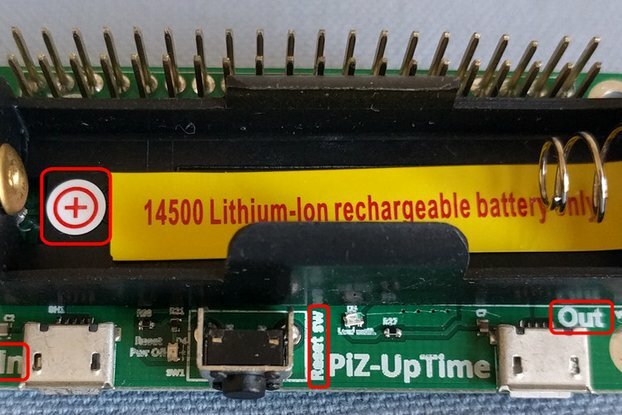 Pi-EzConnect HAT (or shield) for a Raspberry Pi connects all GPIOs of the Raspberry Pi with easy-to-connect, fully documented terminal blocks. Extra Power and Ground connectors are available. Terminal block allow solder-less connections for sensors, LED's, pull-up resistors, pull-down resistors, or other electronic components. The board comes fully assembled - not soldering needed. 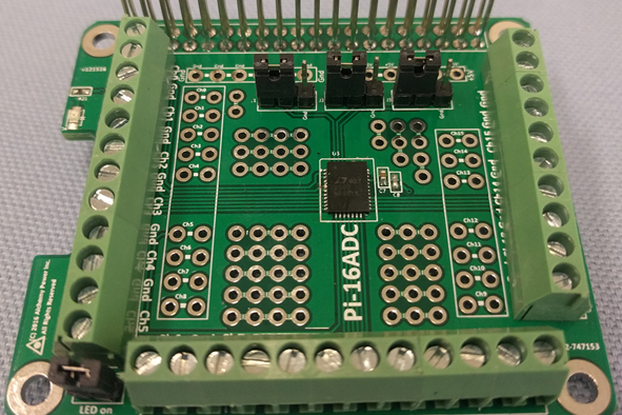 Convenient breadboard capability on the board provides solder points for adding headers on the Pi-EzConnect board. The breadboard solder points are spaced 0.1 inches (or 2.54 mm) apart. 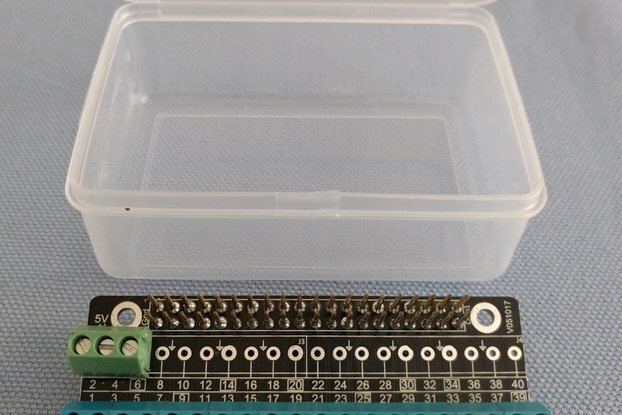 Male or female header pins can be soldered in those locations making a mini breadboard on Pi-EzConnect. Instead of connectors, electronic components like pull-up or pull-down resistors, LEDs etc. can be soldered on to the breadboard. And if solder-less connections are needed, use the terminal blocks!! 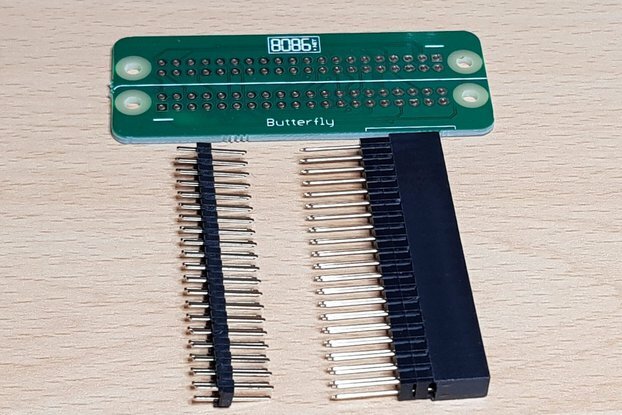 Raspberry Pi header pins are extended approximately 8 mm - this allows enough space between the Pi-EzConnect board and the next board in the stack. I got frustrated with bread boards. The jumper wires kept falling off. Any vibrations also shook the jumper wires loose. 1) Use the Raspberry Pi to its full extent. 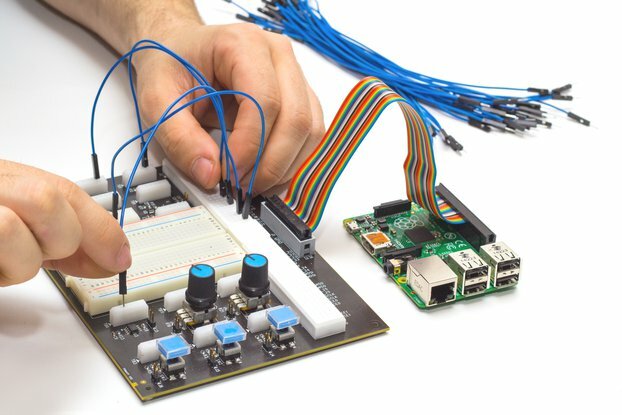 Connect multiple GPIOs to multiple sensors and other electronic devices using Pi-EzConnect. 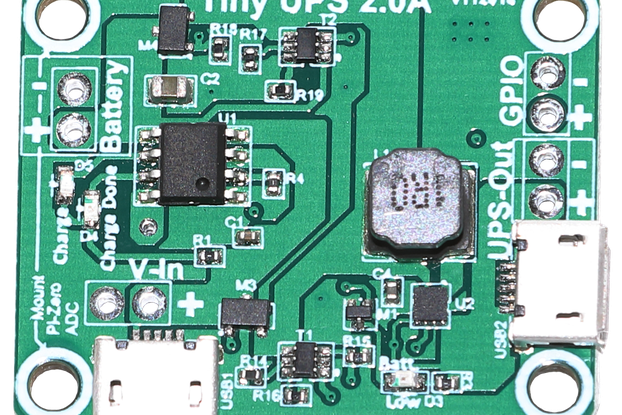 2) Solder-free and solder connections for power (5V, 3.3V, Ground) and all GPIOs. 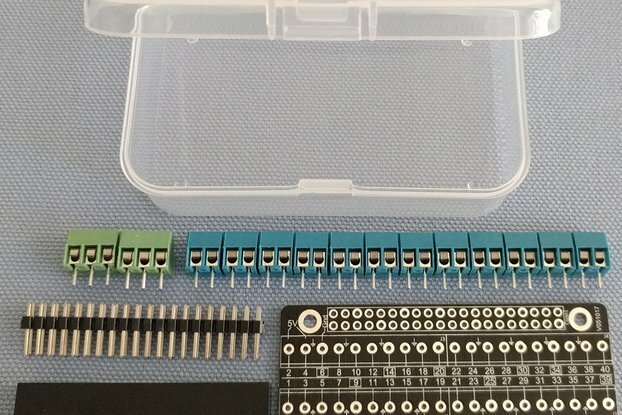 3) Solder connections for other components (a mini breadboard). 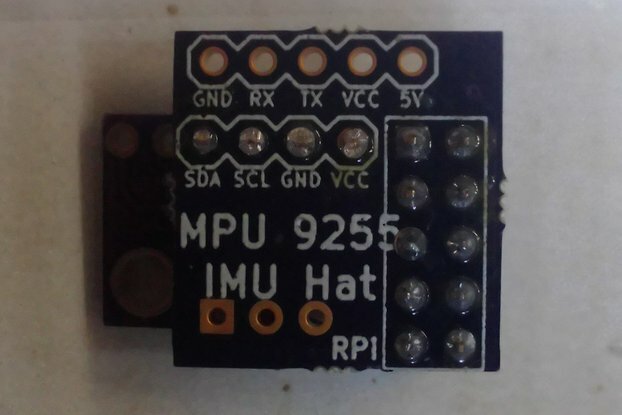 4) Compatible with Raspberry Pi 40 pin header definition and HAT format. 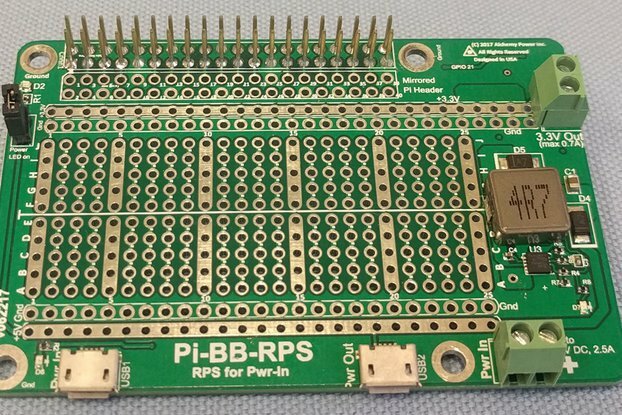 5) Works with 40 pin header Raspberry Pi e.g. Pi-2, Pi-3 as well as Orange-Pi, Asus Tinker etc. - computers which follow 40 pin HAT format. Quick shipping from a good seller. Ez-connect makes life way easier. Save me a bunch of soldering and breakout boards. Well worth it.